Please note: We class fleets as a minimum of 4 vehicles*. If you wish to insure less than 4 vehicles, please direct your enquiry to our van insurance department. 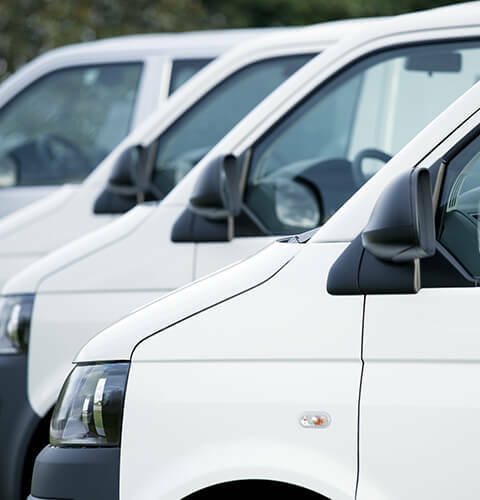 Whatever type of business or trade and the number of vehicles you need to insure, we have access to a range of competitive van fleet insurance policies to match your company's requirements. We can also provide liability insurance, goods in transit insurance as well as cover for single commercial vehicles, couriers and hauliers. *All vehicles must be used for business purposes and must be owned and registered by the company or company director(s). Our relationships with many of the leading insurers allow us to find exclusive cover for our clients. Talk to one of our sales advisors today on 0800 440 2183 or request a call-back by filling out the form above. Simply fill out a quote and our Van Fleet Team will call you back to discuss your requirements. Why choose trade policy insurance?